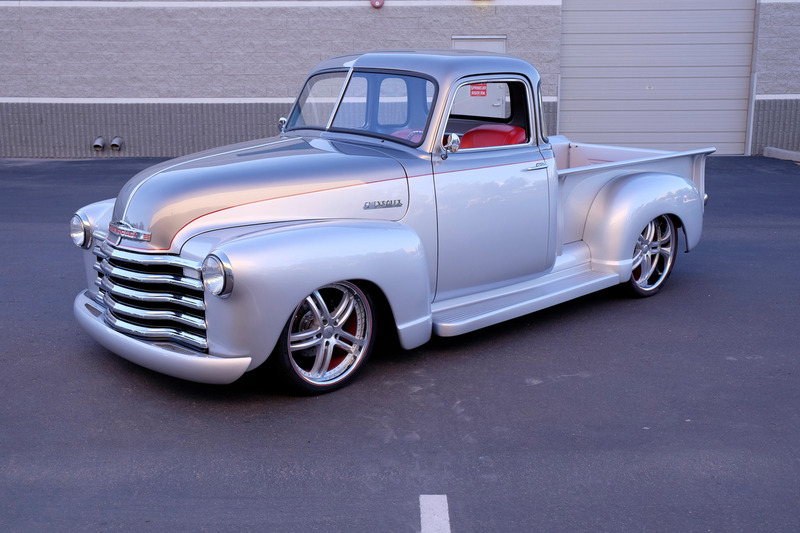 You’d be hard-pressed to find a single part on this 1950 Chevrolet 3100 Custom Pickup that has not been customized. First showcased at the SEMA show, this vehicle sold for $205,700 in Scottsdale, Arizona, in 2017. The truck features extensive modifications including an all-new TCI custom chassis with independent front suspension and a 500-horsepower Chevrolet Performance Hot Cam LS3 crate engine with 4L65E automatic transmission. The interior features a reshaped dash and a handmade redesigned bench seat, console, door panels and headliner.